This is the final entry in our trade deadline series. You’ve read enough about Chris Archer here in the past to know how we feel about the Rays’ righty. So, if he gets traded to the Dodgers, that’d be great! But we’re not holding our collective breath. This entry will be on the “best of the rest” relief pitchers we have yet to profile. Editor’s Note: The following numbers are out of 160 qualified relievers, so remember top 40 is the 75th percentile. All WAR numbers are from FanGraphs. 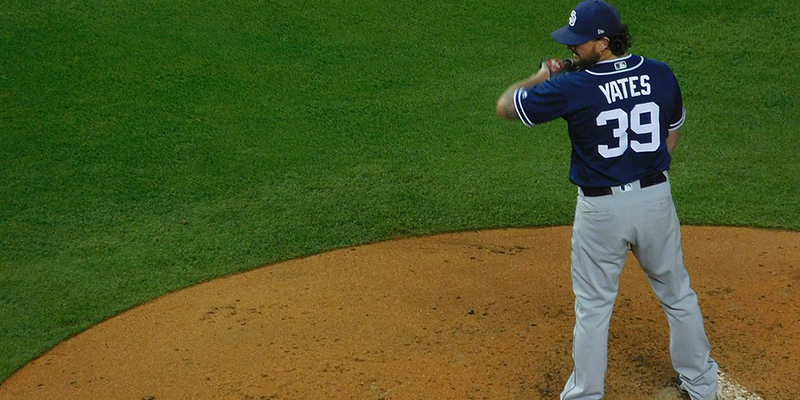 The 27-year-old is flourishing in his rookie year with the Rays. Based on what we know about how they operate, it’s doubtful they’d want to part with a guy who has five years of team control remaining — this is why he’s landing on this list. He works with a strong three pitch mix, pairing one of the most electric fastballs in the league with a strong slider and splitter. His fastball averages 98.1 MPH on the season, which ranks fifth out of 159 qualified relievers behind Jordan Hicks, Aroldis Chapman, Tayron Guerrero, and Seranthony Dominguez. His 24.2% whiff rate on the slider is 41st of 194 pitchers with at least 25 whiffs on sliders. His 27.8% whiff rate with the splitter is third behind only Luis Garcia and Shohei Ohtani. That same 27.8% whiff rate trails only fourteen other pitches overall in whiff rate. Line-drives typically result in the most damage, so clearly a good pitcher would try to limit the most dangerous kind of contact. Stanek ranks tied for the fourth least frequent line-drive percentage allowed at 14.0% Overall, he sits with a 2.43 ERA, 3.31 FIP, 1.03 WHIP, 30.9% strikeout rate, and a .167 batting average allowed. Yates is a 31-year-old reliever who’s bounced around a bit over the last few years, pitching for the Yankees, Rays, Angels, and now finally the Padres. The only difference now, is that with a bit of an adjustment to his pitch-mix he’s flourishing. Yates used to typically be just a 4-seam and slider reliever, experiencing mild success. This year, he’s all but completely dropped the slider which has been his main breaking pitch his entire career — that takes guts. He’s replaced it with a splitter which has worked incredibly well for him and he now throws it 35% of the time. His fastball sits 94-95 and while it isn’t exactly his putaway pitch it does still rack up the swings and misses with a 12.1% whiff rate ranking him in the top third of reliever fastball whiff rate. The fastball pairs nicely with the devastating splitter that features a 25.7% whiff rate which is good for seventh among all splitters. His 32.1% strikeout rate is tied for 20th among all relievers with Blake Treinen who has been unhittable this year. This strikeout rate also didn’t come from nowhere, as Yates posted a 38.1% rate last year, ranking sixth behind only Craig Kimbrel, Kenley Jansen, Chad Green, Corey Knebel, Andrew Miller, and Dellin Betances — Yates can pitch, ranking top 15 in all of ERA, FIP, SIERA, WHIP, and batting average allowed. If he has a weakness, it’s that he’s so incredibly effective against right-handed batters and is just good against left-handed batters. He’d be the perfect reliever to go up against a right-handed heavy lineup like the Astros. There’s no simpler way to explain what Stammen has done this year than simply saying he’s been one of the best relievers in the game. If you go by fWAR (1.7), he’s sixth, if you go by FIP (1.92), he’s fifth — only trailing the usual suspects of Edwin Diaz, Josh Hader, Aroldis Chapman and Blake Treinen. His 2.63 ERA feels high for his peripherals, as his .336 BABIP against is the 19th highest in the league, and well above his career norm of .298. His ground-ball rate of 53.3% ranks 24th, mainly fueled by his altered pitch-mix. That includes completing ditching the ineffective 4-seamer, and essentially only throwing two pitches in a 91-93 MPH sinker 63% of the time, and a slider 25% of the time. Stammen has also been effective against both left and right-handed batters, while like most pitchers — doing slightly better against same-handed hitters (.253 average, 2.24 FIP vs. LHB and .229 average, 1.66 FIP vs. RHB). That 1.66 FIP against right-handed batters is fifth among 142 relievers with at least 20 IP against RHB’s despite a .329 BABIP. Another positive is that the strikeouts are there against batters of both handedness (26.8% vs. LHB & 28.6% vs. RHB). With Stammen, the Dodgers could have a versatile, veteran reliever that can act as a ROOGY if needed, a ground-ball pitcher if needed, or even a legitimate setup man that can be effective against all hitters. Fry is an interesting option as he’s controllable for five seasons after this season and the White Sox could potentially look to deal him now and improve upon their already strong farm system. The rookie is having a strong debut out of the bullpen, working with a true four/five pitch mix, featuring a 4-seamer (13%), sinker (27%), curve (25%), slider (26%), and change-up (9%). He has a very mediocre 4.50 ERA, however that is heavily inflated by the second lowest LOB% in the league at 54.5%. His under-performance of his stellar 2.76 FIP by 1.74 is the fifth biggest gap in the league, all while sporting a relatively low .244 BABIP. This tells you that it’s likely a combination of a couple things, the first being unlucky sequencing as he has a low BABIP and is still allowing poorly timed hits resulting in a higher ERA, and playing in front of a poor defense — the White Sox rank 26th in Defensive Runs Saved with -42. 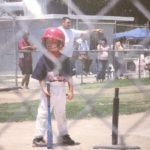 His future may be as a LOOGY, or hopefully a guy who is passable on right-handed batters and death to left-handed ones. In fact, he might already be there — of 126 relievers with at least 15 IP against LHB’s, Fry is allowing a batting average of .089 (2), a WHIP of 0.58 (1), a FIP of 1.38 (5), and a strikeout rate of 37.7% (11). Nobody has been as tough as the rookie Hader, but this other rookie in Chicago is as close as it gets. Hughes is a 33-year-old ground-ball specialist having a strong year for a surprisingly decent Cincinnati Reds team. His stellar ERA of 1.46 is a bit of a mirage compared to his still solid 3.15 FIP, featuring the league’s 12th lowest LOB% at 89.7%. However, that luck may just be sequencing based, as he’s running a .271 BABIP not all too dissimilar from his career of .279. His ground-ball rate of 66.2% fourth among all relievers, trailing only fellow ground-ball specialists Brad Ziegler, Scott Alexander, and T.J. McFarland. Unlike those guys, Hughes has been exceptional at preventing the long ball, allowing only two so far in 55.1 innings. That comes out to a rate of 0.33 HR/9 IP, which is tied for the 18th lowest in the league. That’s notable because based on park factors, Great American Ball Park is the second easiest park to hit home runs, while Hughes has thrown 31.1 innings at home this year and allowed only one. He features a sinker he throws 76% of the time that sits 93-94 MPH, and a slider he throws 14% of the time however, his utility extends beyond being a ground-ball generating relief pitcher. This year he’s allowed a .258 wOBA against both right-handed and left-handed batters, although based on peripheral stats, he’s more likely to be effective against RHBs. Hughes isn’t much of a strikeout pitcher, but in 32.2 innings against right-handed batters, Hughes has a 29.1% strikeout rate ranking 40th, and a 2.52 FIP ranking 32nd among 142 RP’s with at least 20 IP against RHBs. The 31-year-old is having a solid if unspectacular season for the Rangers, where he’s slightly plagued by the same command issues he’s battled his entire career. Diekman has a 12.4% walk rate for his career, and is currently sporting a 13.6% rate this year. For reference, that walk rate is the seventh highest of all 158 qualified relievers, higher than anyone on the Dodgers (Yes, even Pedro Baez). Outside of the command issues, Diekman is at times an overpowering reliever who can and will miss bats. Another thing to note with him is that he’s pitched nearly half of his innings at home, yet shows extremely drastic home/road splits showcasing elite level talent when pitching on the road — we’ll ignore his 2017 season as he only pitched 10 innings last year. In 2018, of his 16 earned runs, all but one of them have come on the road — a staggering 7.50 ERA in 18 IP in Arlington, compared to a 0.45 ERA in 20 innings on the road. In 2016, the same held true as he allowed a 5.06 ERA at home, and a 1.71 ERA on the road. Just for context, that .384 wOBA he’s allowed at home is similar to Manny Machado type offense (.395 wOBA) and the .191 wOBA he’s allowed at home is so low that only pitchers reach those numbers (Jake Arrieta .198 wOBA). In addition to that, the strikeout and walk ratio difference is astronomical. This year, Diekman has allowed 18 walks in 18 innings, with only 17 strikeouts at home — good for a 17.9% strikeout rate and a 19.0% walk rate which is … very bad. However, on the road, he’s struck out 29 in 20 innings while walking only five — a 39.2% strikeout rate and a measly 6.8% walk rate. The fact that this has held true over 45 innings each at home and on the road over two separate seasons means it could have some real significance to it. Maybe the fact that his home field of Globe Life Park has the highest park factor in the league has some sort of significance as well. Personally, I’ve never seen a reliever that can be the worst pitcher in the league at home, the best pitcher in the league on the road and average out as a perfectly average reliever. My best guess is that he could use a change of scenery and has the potential to be a lights out setup man. Claudio is unlike the other relievers here as he isn’t much of a strikeout threat, and he has a specific use where the other guys were more versatile. He’s a three pitch guy, working mainly with a slider (54%), and a change (37%), occasionally mixing in a slider (9%). To date, he’s put up an ERA of 4.53, performing significantly worse than his solid FIP of 3.30. For reference, in 2017 Claudio put up 1.6 fWAR with a 2.50 ERA and a near identical FIP of 3.21. Essentially the only difference is massive spike in BABIP allowed which is nearly impossible to maintain, from .269 in 2017 to .391 which is the third highest mark in the league. Some congruences between his great 2017, and his 2018 campaign so far is his effectiveness against left-handed batters. Last year, in 29.1 innings against LHB’s, Claudio posted a 0.58 WHIP which was second only to Felipe Vasquez, a 2.44 FIP (28), allowed only a .143 batting average (10), and overall a .164 wOBA (3) — dominant. This year, he hasn’t been as dominant against lefties, but he’s still been great, posting a 0.86 WHIP (12), with an increase in FIP at 3.47 (54), and ERA at 3.31 (69). Overall, his wOBA allowed is still strong at .233 (25), and he makes an effective proven reliever at the right price. You can think of him as the relief version of Joc Pederson where matchups would be crucial to maximize his potential. The trade deadline is five hours away. Keep it here for all the latest updates.